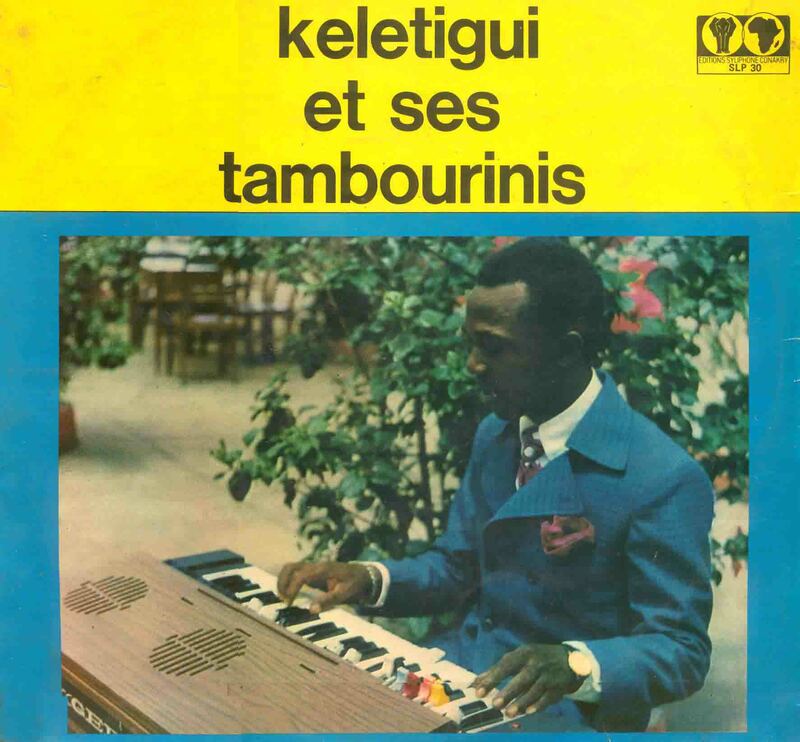 Keletigui et ses Tambourinis were one of Guinea's select National Orchestras. The band were originally known as Orchestre de la Paillote, and were led by Keletigui Traoré. Syliphone /span>SLP 30, picture above, is of special interest for the song "Mandjou", a traditional praise song to the Touré clan, which was recorded several years later (in 1979) by Salif Keita and Les Ambassadeurs Internationaux. Both renditions focus on praising the achievements of Guinea's President, Sékou Touré. The above album also includes songs dedicated to the Parti Démocratique de Guinée, Guinea's sole political party, and traditional songs such as "Donsoké" and the classic "Bakary dian". The LP was released by the Popular African Music label, but seems to have sunk without a trace.